With just over a month to go before the Feb. 25 NHL Trade Deadline, a good chunk of conversations these days will revolve around who is staying, who is going and what teams are doing when it comes to some valuable assets that may also be considered valuable trade pieces. It’s often said each year that the current market is the most interesting market. Perhaps this year, that comment rings true. With some of hockey’s most prolific goal scorers, high-end defensemen and top-tier goaltenders potentially available, and with teams already out of the race for the playoffs — many of which were unexpected based on early projections — things have opened wide up in terms of speculation. Panarin ranks as No. 1 on our list because he’s not only one of the more interesting stories to watch, but he’s potentially the most dangerous offensive player available at this year’s deadline. 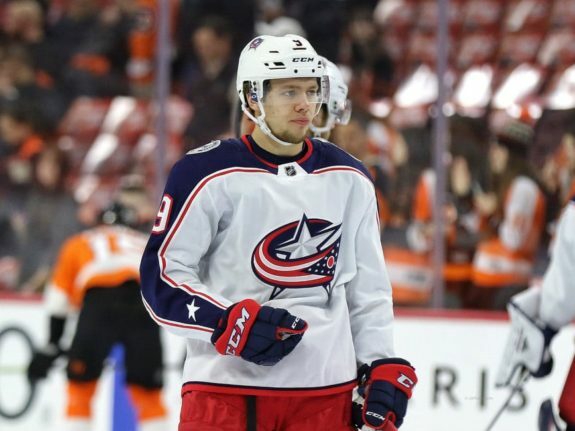 There are constant updates — some small and some bigger — when it comes to the Columbus Blue Jackets and Panarin. What we’ve heard is that his agent, Dan Milstein, has communicated on and off with general manager Jarmo Kekalainen. Those talks have occurred far more than was expected at the start of the season and based on what was communicated this past summer. That’s the good news. The bad news? As of right now, Columbus is merely a potential option that hasn’t been ruled out by Panarin. He likes the way things are going with the team but he’s not ready to commit to staying. This could be problematic for the Blue Jackets who will need to make a decision on the player before the deadline, based both on the likelihood he stays and where the team is at in the standings. Currently, the Blue Jackets sit third in the Metropolitan Division with 51 points and are on pace for 100-plus points. What if the team struggles? Panarin won’t see the Blue Jackets as attractively as he may view them now and the risk goes up that he’ll leave in the summer. Will Columbus really be willing to let him leave for nothing if things look a little iffy? Of note, Sergei Bobrovsky didn’t make the top ten, but he’s bound to over the next few weeks. Larry Brooks of the NY Post is reporting that forward Kevin Hayes has likely priced himself out of the Rangers market and will be moved prior to the February 25th NHL trade deadline… if the Rangers can manage it, they’d like to acquire a first-round pick, a player that would be able to join their top-nine or top-four, plus another draft pick or player. Hayes is the ideal rental at this year’s deadline. He’s a versatile center, he’s got size and he’s on a contract that isn’t prohibitive, especially if the Rangers eat some salary in return for a decent prospect (that might not even be necessary). All eyes are on the Ottawa Senators as the trade deadline approaches and most of those eyes are on Matt Duchene. 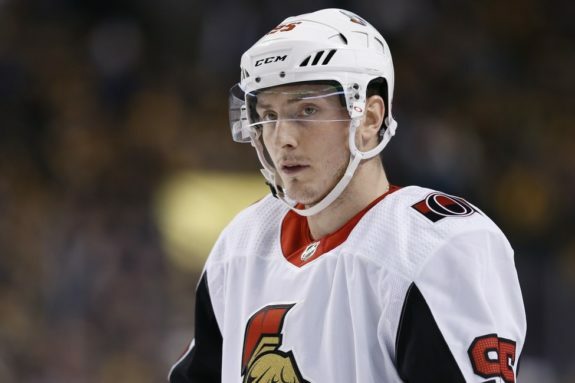 The latest on the negotiations between the two sides is that Duchene will spend time with his reps at CAA to find out just where the Sens stand on a long-term deal. The Senators want a decision quickly but Duchene is in no rush to make one knowing that he’ll max out during the summer on the open market. If any of the scheduled upcoming talks don’t seem to go well — and the latest report appears to be that things have cooled — he’s a goner. The feeling around the league seems to be that GM’s should keep a close eye on this because, at any time, the Senators may think it’s not going to happen and pick up the phone to make a move. If so, that could open the floodgates in Ottawa. Dougie Hamilton is an interesting name to recently pop up in the rumor mill. It was reported on Saturday during the Sportsnet Headlines segment that the Hurricanes would move him for the right package. Part of that might be because the team sees him as the player who could fetch the biggest return and part of that could be because they don’t want to move Jaccob Slavin. For some reason, Hamilton has a reputation as not always committed and it’s followed him around from Boston to Calgary and potentially now to Carolina. That said, there are plenty of teams that will be interested in a defenseman that has as much upside as Hamilton does. 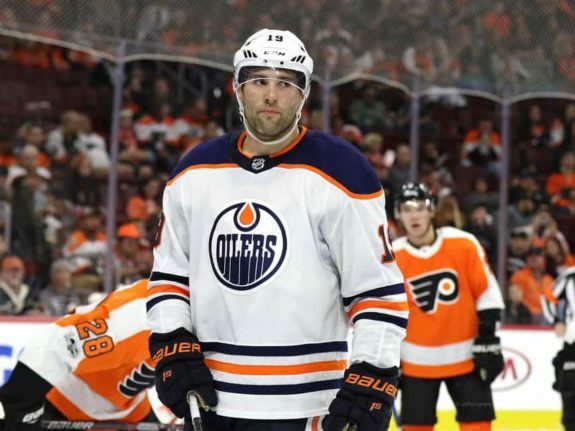 A recent report by Jeremy Rutherford at The Athletic suggests that the St. Louis Blues might be looking to convince Patrick Maroon to waive his full no-trade clause that becomes a modified no-trade clause prior to January 31. After waiting too long to get the most money possible as a UFA last summer, Maroon signed as a free agent with the Blues on a one-year, $1.75-million contract. The Blues are grateful considering how little Maroon has produced to date. Maroon badly wanted to be in St. Louis but he’s also got ties to Edmonton and New Jersey was interested in keeping him before he left for his hometown city. If the Blues go to Maroon and say ‘we’re looking to trade you before the deadline’, perhaps one of those two teams shows interest and Maroon is open to being moved. People around the NHL are waiting for the damn to break in St. Louis. Players like Alex Pietrangelo, Colton Parayko, Patrick Maroon (who we’ve already discussed), Vladimir Tarasenko and now Brayden Schenn are rumored to be players the Blues are fielding calls on. The Boston Bruins seem to be the team most linked to Schenn and they like him over Tarasenko due to a shorter-term contract commitment and a lower price tag. Schenn is having a bit less successful of a season than he had in 2017-18, but he’s still a solid player, with a contract who is going to command a sizeable return. If your name isn’t Anze Kopitar and Drew Doughty — and potentially Jeff Carter due to the leverage he holds — there’s a chance you’ll be traded out of LA. 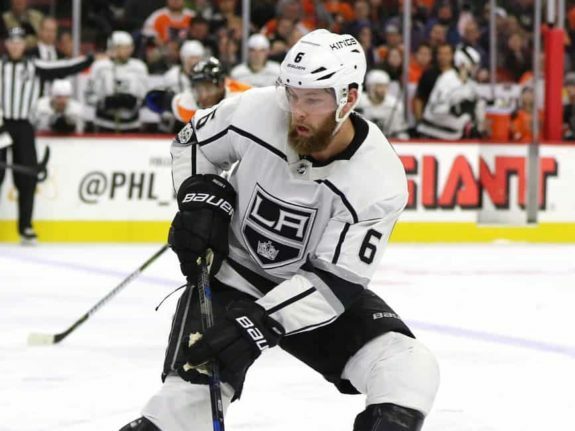 Among those that are most likely to go is Jake Muzzin. Muzzin is having an incredible season in LA and the return would be tremendous if the Kings choose to move him. He’s got this season and next at $4 million on his current deal (which is a steal) and at 29, he’s one of the Kings best defenders. The Kings will certainly look to acquire a first-round pick plus more since he’s not a pure rental. Why Puljujarvi is on the list is because the GM of the team he currently plays for appears to be in mild panic mode. Having already made questionable trades, Peter Chiarelli is expected to look to make additional moves and Puljujvari has some value as a fourth-overall draft pick who hasn’t reached his ceiling. A more patient GM could get a steal here. If he’s not moved, it’s because Chiarelli has determined that he can’t afford to give him away for any less than a wonderful return. Selling Puljujarvi now would be selling low. Stone is an interesting case to watch. 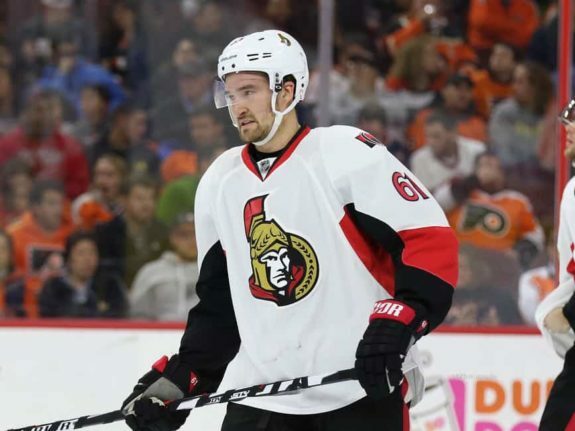 He has publicly stated he’d like to continue playing for the Senators but he’s primed to hit a home run in free agency and could potentially be giving up huge money if the Senators aren’t prepared to offer him top dollar. This becomes a loyalty versus opportunity situation and Stone certainly has to weigh how poorly the Senators outlook is and how much he’ll earn on the open market as a player who is having his best offensive season, is one of the game’s top two-way forwards and is averaging 1.09 points per game. Eberle is not having a great season in New York. A player on a contract year, it’s rare that talents who are going to have to take a serious pay cut often do so in the same city they played the previous season. That means Eberle will likely shake loose and it makes sense considering the rest of the free agents the Islanders will have to look at with higher priority, such as Anders Lee and Brock Nelson. Despite only having eight goals and 18 points in 36 games, Eberle is still one of the NHL’s better snipers and his resume boasts five consecutive 20-goal seasons. There will be a team willing to take a chance on him as a rental. Based on Zuccarello’s recent comments and the fact he’s having a down season, it’s probably a lock he’s traded prior to the NHL Trade Deadline. He’s averaging just 0.50 points per game and he’s suggested part of that downturn is due to the pressure that comes with being often discussed in trade rumors. 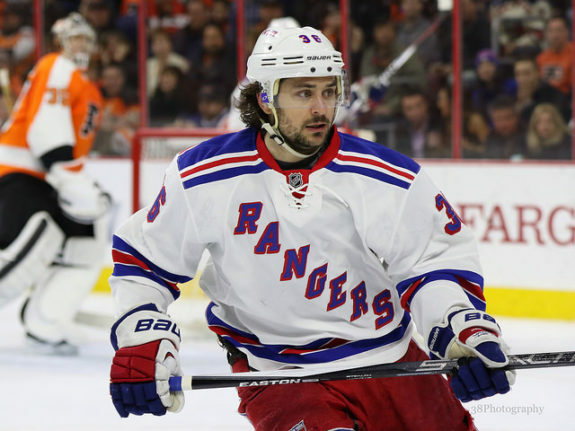 There are a variety of good reasons to look at Zuccarello if you’re a team that needs a rental. He makes a fair $4.5 million per season on the final year of his current deal, the Rangers may be willing to retain some of his salary and he’s been around the 50-60 point range as a player over the past five seasons. Take the pressure off him and it should be expected he’ll turn up the production.